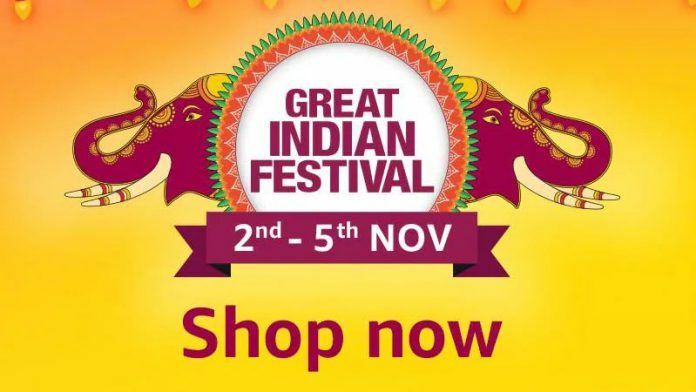 Amazon’s Great Indian Festival is on and it’s definitely looking quite interesting. 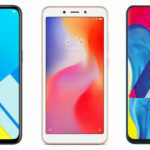 The sale covers a wide range of items including a number of smartphones in red variants like the Xiaomi Mi A2, OPPO F9 Pro, Redmi 6 Pro, and the Samsung Galaxy J6 Plus. The festive season is still on in India and it seems like online retailers are making the most of it. Not too long ago, Flipkart had its Big Billion Days sale and offered a wide range of products at amazing deals. Well, it seems like Amazon India is now making its own attempt to capture a wide audience and capitalize on the Diwali season. Amazon India is having outstanding discounts on products from November 2nd to November 5th. 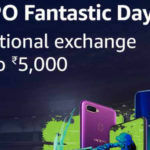 Amazon’s Great Indian Festival Day 2 will offer quite a number of smartphones as a part of a special discount. If you’ve been waiting to buy a new smartphone, perhaps this is your one golden opportunity to do so. 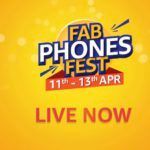 Listed below are some of the best deals on smartphones during Amazon’s Great Indian Festival. The Xiaomi Mi A2 smartphone red variant is currently on sale at an outstanding price. The device is powered by the Snapdragon 660 SoC and is paired with 4GB RAM and 64GB of internal storage. One of the highlights of the device is definitely is dual-rear camera setup of 12MP + 20MP. The Mi A2 is an Android One powered device and is likely to receive software update pretty quickly. The smartphone comes with Android Oreo v8.1 out of the box and is powered by a 3010mAh battery. 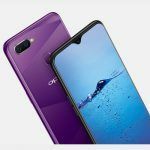 At the time of writing the article, the OPPO F9 Pro smartphone is being offered at a discounted price. However, there are just a few more hours for this offer to expire. The device features a 6.3-inch display with a resolution of 2340 x 1080 pixels. The OPPO F9 Pro is driven by the MediaTek Helio P60 chipset and coupled with 6GB RAM and 64GB of internal storage. It has a dual-rear camera setup and is powered by a pretty large capacity battery of 3500mAh. The Realme 1 smartphone is still a pretty decent budget smartphone. The 6GB RAM + 128GB internal storage variant is being offered by Amazon Indian at a discount of INR 3,000. At the heart of the smartphone lies the MediaTek Helio P60 SoC. The device has a single rear and front camera and even supports Face Unlock. 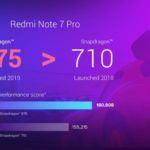 While the Redmi 6 Pro Red variant isn’t getting too much of a discount, it’s still nevertheless worth mentioning. The 4GB RAM + 128GB internal storage model is being offered at a deal price of just INR 12,990. 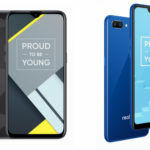 This is just INR 1,000 above the price of the Realme 1. 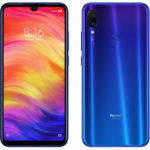 The Redmi 6 Pro features a 5.84-inch screen with a resolution of 2280×1080 pixels. It does sport a dual-rear camera setup of 12MP + 5MP and with a front-facing selfie shooter of 5MP. 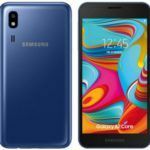 The Samsung Galaxy J6 Plus is one of the few Galaxy smartphones which are being offered at such an amazing price. The device sports a 6.0-inch screen with a resolution of 720×1480 pixels. The variant available on discount is the 4GB RAM + 64GB internal storage one. It runs on Android Oreo v8.1 and is juiced by a 3300mAh battery. The smartphone is a decent budget-oriented smartphone. The Galaxy S9 Plus needs no introduction. At its discounted price, the device is actually really worth purchasing. It features a 6.2-inch screen with a display resolution of 2960×1440 pixels. It is powered by the Snapdragon 845 SoC and paired with 6GB RAM + 64GB internal storage. The device has been praised for its camera performance, thanks to its dual-rear 12MP cameras and its 8MP front-facing camera. Jason is one of our latest additions to the team. Apart from being a high school teacher, Jason is passionate about technology. His love for it stems from his enthusiasm for computers and mobile phones. The best way of manifesting this is through his interesting and captivating articles. Jason has worked with some of the known tech blogs like MobileScout. He has an expertise when it comes to smartphones, software, hardware, and apps.